Huge floodlights set between pillars lit the Art Gallery of NSW to celebrate the Australian Womenswear Spring/Summer 2017/18 Fashion Palette. Real Housewives stars, actors and bloggers flocked to the event, showcasing some of the best designers Australia has to offer. Akira Isogawa, Alin Le Kal, Danielle Aridi, Eliya the Label, Haus of Song, Heaven Swimwear, Lena Kasparian, Nicola Finetti, Sass & Bide, Wild Pony Swimwear and Zerryn showcased their new collections that evening. 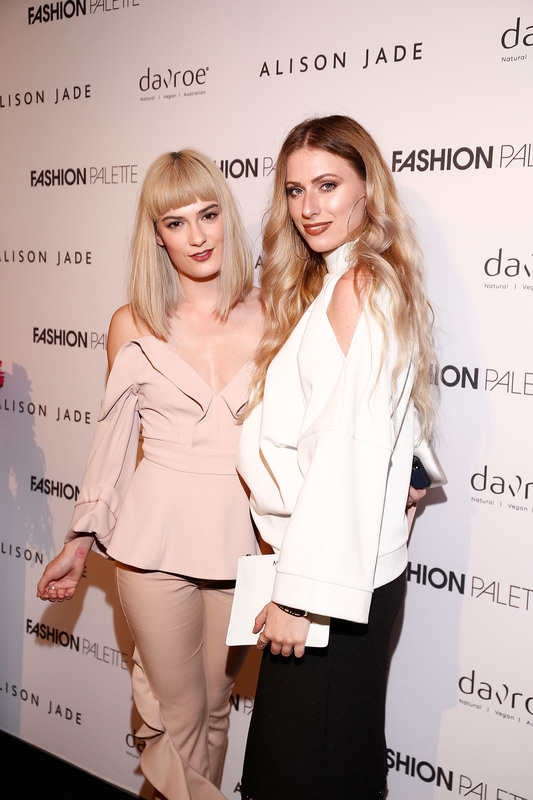 Popular styles seen at VAMFF were spotted again at Fashion Palette. Luxe, silky jumpsuits, slips and two-pieces glided down the runway from Haus of Song, while Eliya the Label and Danielle Aridi impressed us with their heavy embroidery and attention to detail. Wild Pony Swim sent a glowing female model down the runway on a surfboard supported by four male models, giving us a new form of dream transport. From both swim labels we saw emphasis on bright colours colours, interesting bikini cuts and fun summery patterns. Fashion Palette also organises a runway to showcase Australian designers at New York Fashion Week, and has plans to host its first runway in Dubai later this year, bringing Australian designers to the Middle East. To keep up-to-date with the latest on the Australian fashion scene, you can find their website here.